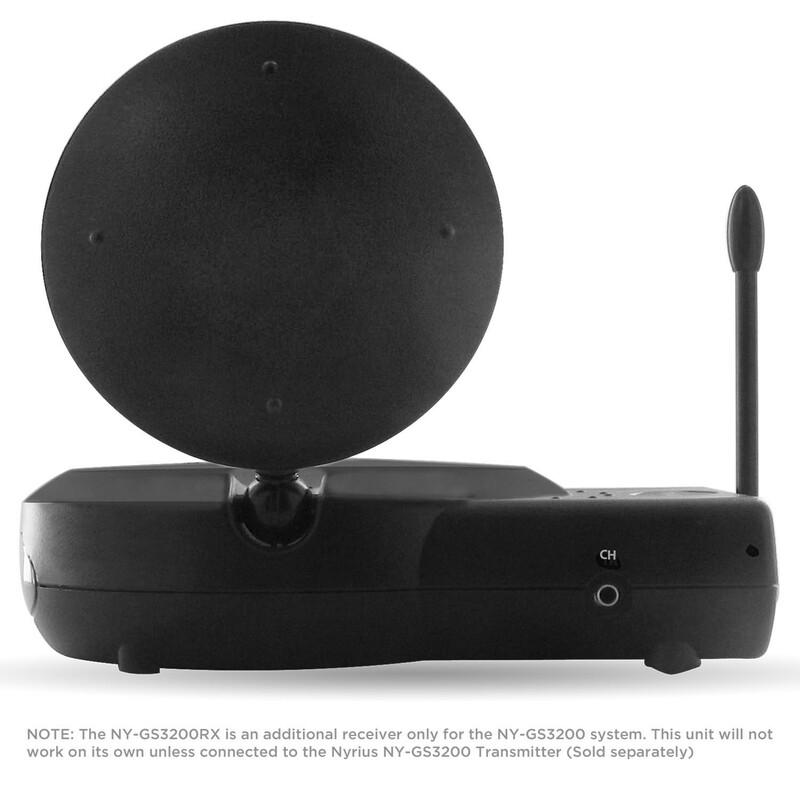 When the NY-GS3200RX wireless additional receiver is added to the NY-GS3200 system you can easily receive high quality audio and video signals from one room to another, all without installing wires. 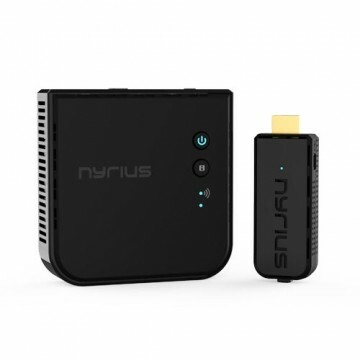 Whether it's your cable/satellite, DVD player, game console, or any other audio/video device with standard RCA composite connections, this receiver in addition to the NY-GS3200 system uses radio frequency technology that will allow you to watch it on a number of TV’s wirelessly. This system can broadcast real time audio/video up to 400ft (open space). It also transmits through walls, floors and ceilings with ease. Whether your other TV is in the basement or on the other end of your house, this video sender will broadcast crystal clear sound and full motion video. The powerful 5.8GHz signal will not interfere with Bluetooth or most Wi-Fi networks, which are typically 2.4GHz. 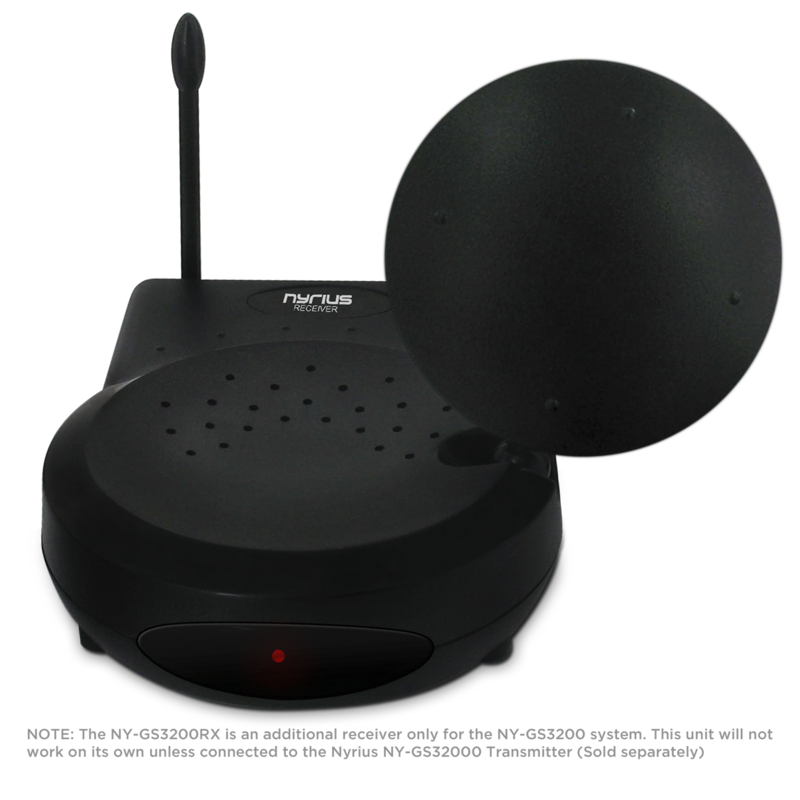 The directional antennas ensure an optimal signal and minimize interference from other devices. 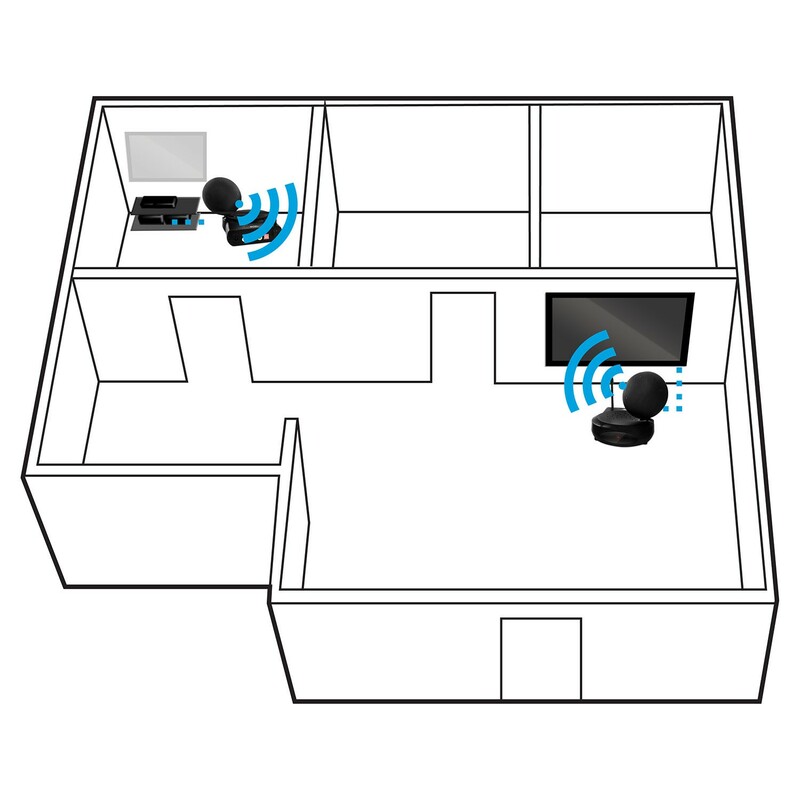 Not only can you watch your audio/video source remotely, you can also control it. The built in IR (infrared) remote extender will send your device's remote control signals over the air. 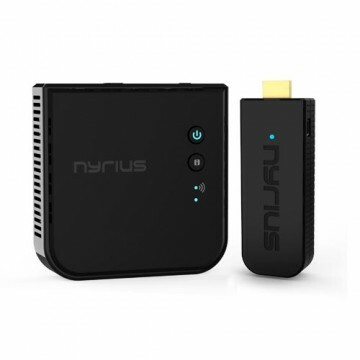 Change channels, pause your movie – any function available on your remote will work using the remote extender. Simply point the IR extender at the device you want to control and your devices can be controlled from a remote location up to 100ft. This system has 6 channel frequencies to choose from. Pressing the channel button on the receiver will automatically ensure that the transmitter is on the same frequency. 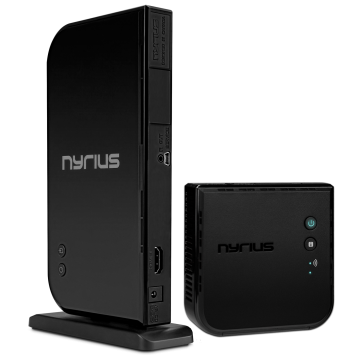 If you have other 5.8GHz wireless devices, this system's ability to switch channels will help avoid interference with your other devices. This system uses phase-lock-loop technology for optimal reception and no tuning of channels required. 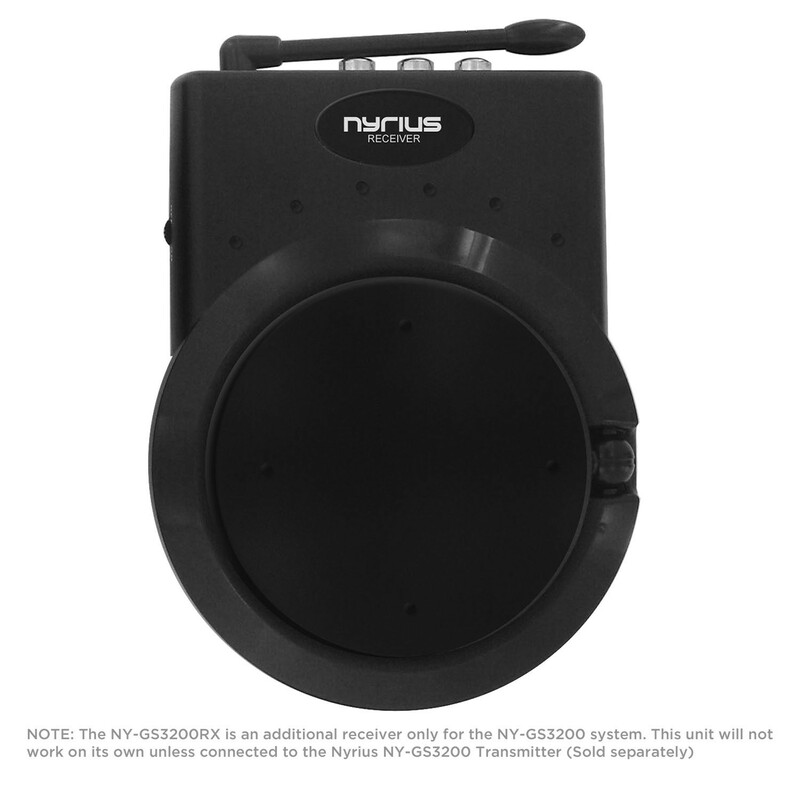 The NY-GS3200RX is an additional wireless receiver unit for the NY-GS3200 wireless audio/video sender transmitter & receiver system. You can easily add additional units to this system depending on your needs. Purchase any number of additional receivers to broadcast audio/video to even more TVs. You can also buy additional systems and set them to different channels to broadcast up to 6 different audio/video sources – the possibilities are endless. This wireless sender is incredibly easy to use and installs within minutes. Simply plug in the included RCA cables to your TV and audio/video device, and you're ready to go. 1Vp-p ± 0.2V @ 600 Ω / 3Vp-p ± 0.3V @ 10K Ω, Max.